St Michael’s Mount is a rocky island crowned by medieval church and castle, home to a living community in Mount’s Bay, Marazion near Penzance in Cornwall. Also known simply the Mount is a small tidal island its possible to walk across the causeway to the St Michael’s Mount from the beach. 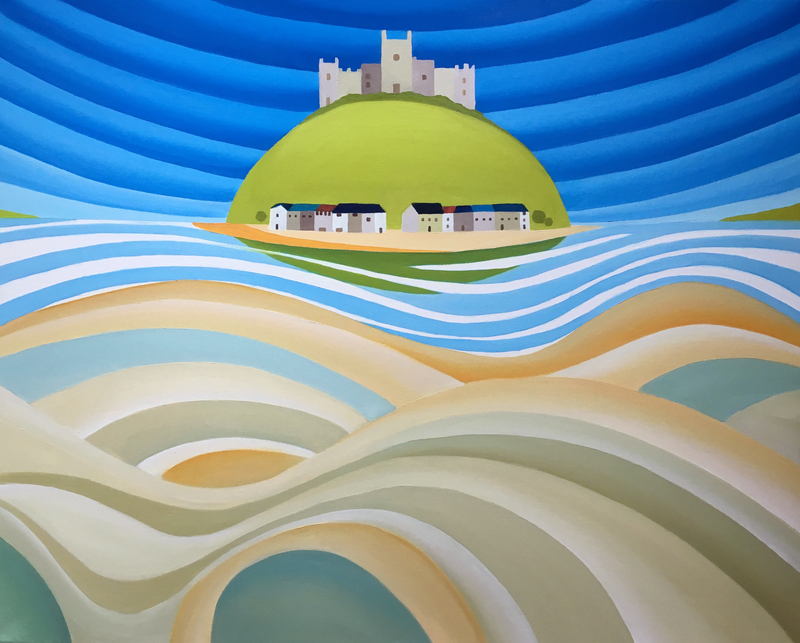 This painting is inspired by the tidal patterns that surround the mount when the tide is out.